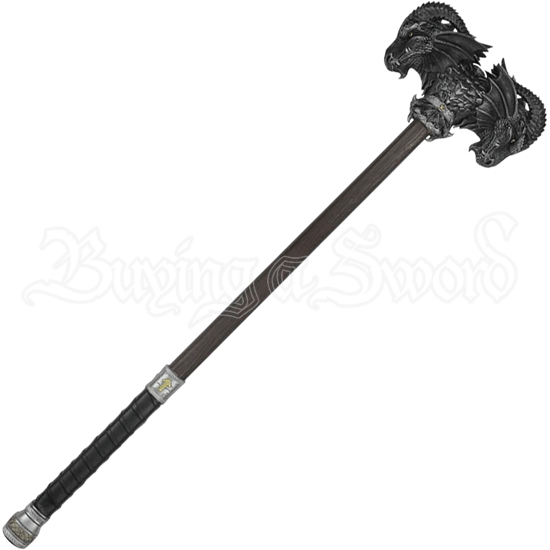 Invoke the ferocity of a dragon when you wield the Black Calfera Two-Handed LARP Hammer in battle. Twin dragon heads form the double-sided head of this fantasy LARP warhammer. This ultra-sturdy LARP weapon is made of latex-free foam. Each head is highly detailed, showing horns, ear fins, and scales all in a metallic black. A small, gold tone triquetra appears on a Celtic knot band beneath the heads. The grip of the brown wood-look haft is sized to comfortably fit two hands, styled to look like wrapped black leather. A gold rune and gold knotwork decorate the steel tone band before the handle and the short pommel. The head of this LARP fantasy hammer is hollow, making it lightweight for easier handling, and the haft has a durable and safe fiberglass core. 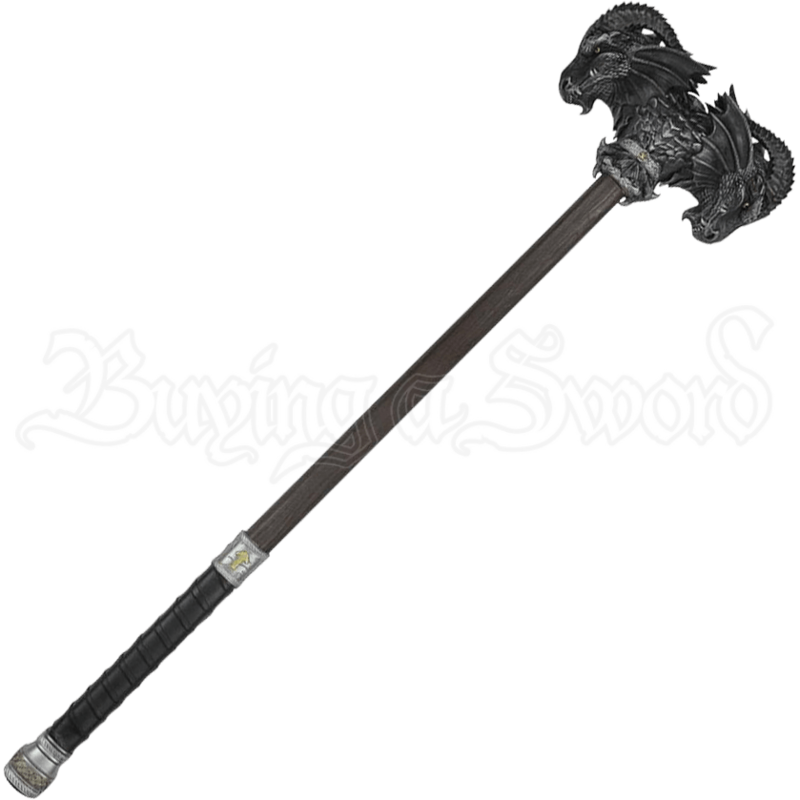 For powerful warriors of medieval and fantasy LARP alike, this dragon head LARP hammer is a phenomenal choice.